Your bed. It’s comfortable. It’s cozy. You enjoy sleeping in it. In the morning, you usually leave it mussed and rumpled so you can easily climb back in at the end of the day. Did you know, though, that properly made bed can make your room look neater? In this article, we’ll teach you how to properly make a bed. You won’t have to do all these steps every morning, just when you need to change your sheets. Choose bed linens that are comfortable and pleasing to your eye. If you like a bedskirt, use one. If not, don’t. It’s not necessary. Grab the linens you’ll be using to place on your bed including sheets, comforters and pillow cases. Put them to the side for now. Remove used linens and comforters. Take off the used linens and put them in the laundry. You can shake out the mattress pads, pillow protectors and comforters that don’t need to be laundered at this time. If they need to be laundered, take them to the laundry room. If you use a bed skirt and it needs to go into the laundry, put it there and replace it. Put the bottom sheet on. If you have a fitted bottom sheet, slip the corner pockets onto the ends of the bed and adjust the fitted sheet around the perimeter. You may have to lift the mattress slightly to make sure that the sheet is tucked tightly around the corners of the mattress. Put the top sheet on. You should place the top sheet evenly on the bed. Fold under at the end of the bed. You can leave the sides free-flowing so you can more easily get into the bed unless it’s a guest bed or you really like the look of tucked in sheets. Then, tuck in the sides all around. If there’s any sheet showing, remember that the comforter, quilt or duvet will cover it up. Usually this is where you make hospital corners. “Hospital corners” refer to a specific method of folding the end of the top sheet tightly under the mattress. To make one, tuck the end of the top sheet between the mattress and the box spring at the foot of the bed. Make sure it’s smooth and wrinkle free. You don’t want to just stuff it in there. On one side, grab a piece of the top sheet that is approximately 16 inches away from the foot of the bed. Lift it up and fold this section of sheet over the top of the mattress so it forms a 45 degree angle from the mattress’ corner. Holding the folded sheet in place on top of the mattress, tuck in any sheet that’s hanging below the mattress on that side of the bed. Do this as neatly as you can for the best results. Now, let the folded sheet drop down. If you like looser sheets, you’re done. If not, tuck the hanging edge between the mattress and box springs along the side of the bed. Take your choice of blanket, place it gently on the bed and smooth it over as you go. To place pillows under the blanket, fold the top sheet down over the blanket. Place pillows flat on the top sheet at the head of the bed. You can lay pillows upright against the head of the bed. Finish the bed with pillows in whatever manner you like. That’s it. Now that it’ll be easier to make a bed the more often you do it. Most of the time, you can skip the first two steps because you won’t need to change your sheets out completely every night. 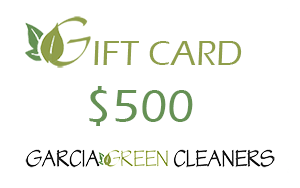 If you want Garcia Green Cleaners to give you a freshly-made bed, give us a call in Austin at 512-705-2812.